For some reason "White Frames" sounds like a great name for a band to me (I'm sure I'm thinking of the British group). They're also one of my favorite decorating touches. I LOVE white. It's my favorite non-color. 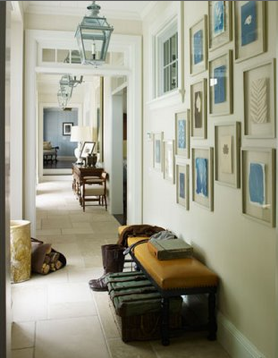 Here are some good ideas for white framing around your home. Modern, Indian, Traditional, and Museum... and one color. That's why it works. A really subtle, almost masculine, embrace of blue and white. The classic white framed photo look. A little more feminine than black, and it looks fantastic with grey or brightly colored walls. If you're framing a variety of knick knacks in varying colors, shapes, or styles, a simple white frame will unify your look. Image from Style Redux. Using a white frame to bring out a picture - white on white gives this piece a higher profile in the room, and blends well with the graphic, non-cluttered look. Another good example of "variety" framing - the white brings everything together in a very minimal way. Images: 1-3, Decor Pad. Image 4, Style Redux. Image 5-6, Melanie Acevedo. 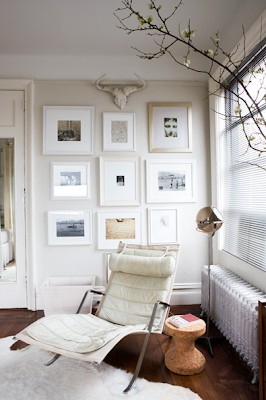 Love the white frame - always in style and works in every room! 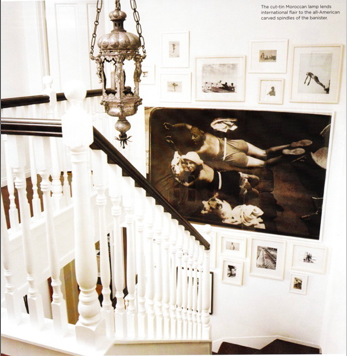 Great idea and look IF you have white walls, which I don't, because I detest white walls. So no, it doesn't work in every room. It would look tacky on colored walls except perhaps black. Thanks for the mention of Style Redux. I disagree with Beth -- I think white frames can look good on a lot of different colored walls, but I do prefer them on bolder, darker hues like plums or chocolate browns, etc. Generally, I prefer simple frames to set off art and allow it to take center stage. These pictures are all lovely examples of that. Thanks! Fantastic examples! The first is my favorite - the setup is so interesting. 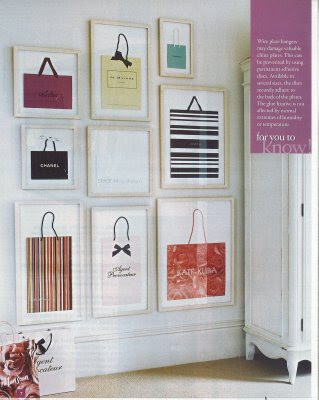 the framed shopping bags are very cheeky chic. i like it! Love this post. Many years ago, I bought a lithograph on a cruise (I thought it was so cool, and I thought I was so cool too. It was a colorful piece, and I did not know how to frame it. Black would have dragged it down, gold would have been too formal. So I framed it in white. The litho really pops - and now resides in my daughter's room.